A man I met only once, and that was from afar. I watched as he laughed, joked, taught, and mentored my youngest brother and realized that he was giving Rhen the gift of seeing his own potential. 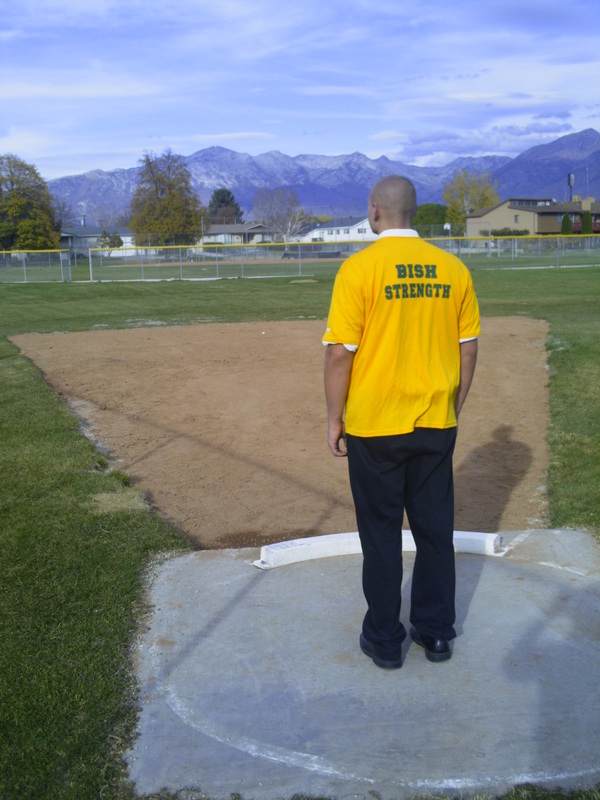 “Bish” (the name he went by) coached my brother in shot put, and Rhen loved learning from him. He was a world class athlete, competed in the ’76, ’80, and ’84 Olympic Games, and was also the “World’s Strongest Man.” He taught Rhen about throwing with better form, being strong, and about the trajectory his shot put would take. Sadly, he won’t witness Rhen’s trajectory as he moves ahead with his training, but I know that he had a profound influence for good. If that’s all someone could say about me when I passed on, it would be more than enough. Onward and upward, Bish, to that place where you won’t be in pain. We’ll be thinking about you. That is sad. I’m sorry to hear about that. Yeah…it was quite a shock. Rhen is heartbroken.